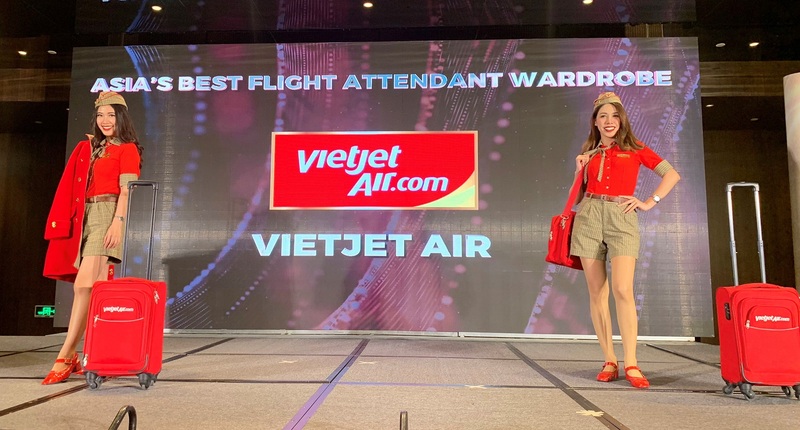 Remember Vietjet, Vietnam’s “Bikini Airline”, listed on the Ho Chi Minh Stock Exchange and famous for their bikini-clad flight stewardess? 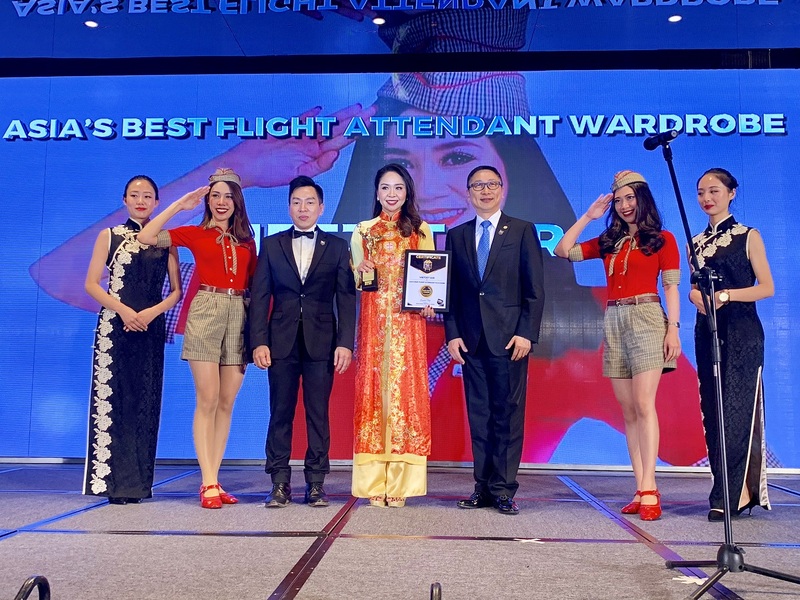 The airline was recently honoured with the “Asia’s Best Flight Attendant Wardrobe” at the Gala Ceremony hosted by NOW Travel Asia Awards – NOW Travel Asia Magazine, in Chengdu, China. The result was announced based on actual votes by readers’ and the judges. 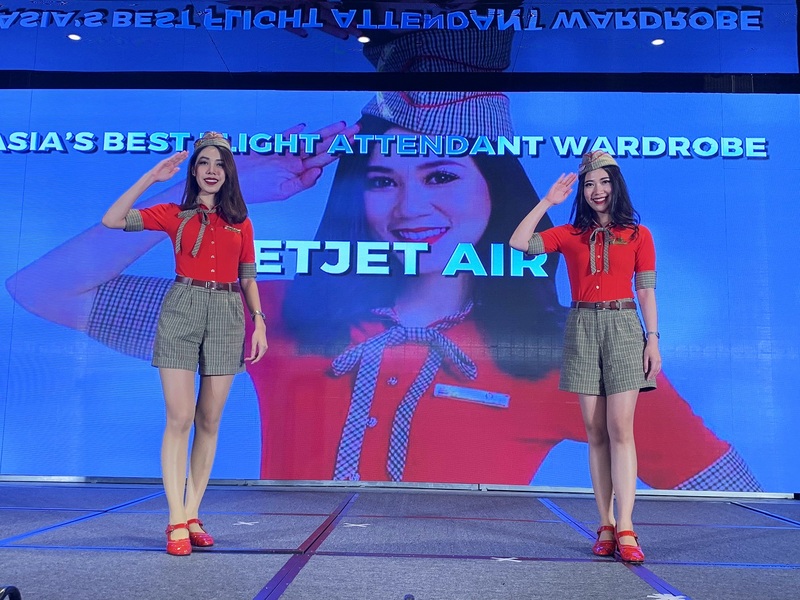 The winning uniform was not the bikini version, but the current Vietjet uniforms by European designers based on the ideas of the youth army cadet uniforms. The female flight attendant’s uniform is stylised with red tee-shirts, bow ties, shorts with a plaid hat and accessories such as flying wings, badges, brown belts and the prominent pretty red shoes. In winter, the vest matches with shorts to bring the youthfulness and freshness. The male attire is not only smart but also dynamic with black trousers, business shoes and stylish red t-shirt.